With deep and mesmerising valleys cascaded in sky-scraping mountains and evergreen beauty, this heaven on Earth leaves you absolutely mesmerised. Right from Chashm-E-Shahi to the exotic Shalimar garden, Srinagar is a bountiful Tourism attraction to visit. 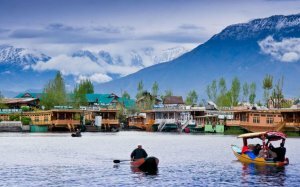 Surrounded by mountains for the adventurous lot to lakes for photoholics to shopping markets for the spendthrifts, Srinagar does not disappoint anyone. Situated at an altitude of 1730 m above sea level, Srinagar boasts of being the summer capital of the state of J&K. Srinagar enjoys an alpine weather and receives heavy snowfall in December-February. 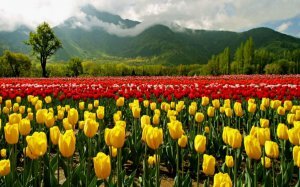 The best time to visit Srinagar is during summers between April and June. The city is packed with numerous sublime lakes, which offer the best setting for sports like Canoeing and Kayaking. Tourists can also enjoy rides on traditional Kashmiri boats- “Shikaras”. Kashmiri Houseboats offer a unique experience of living on water. 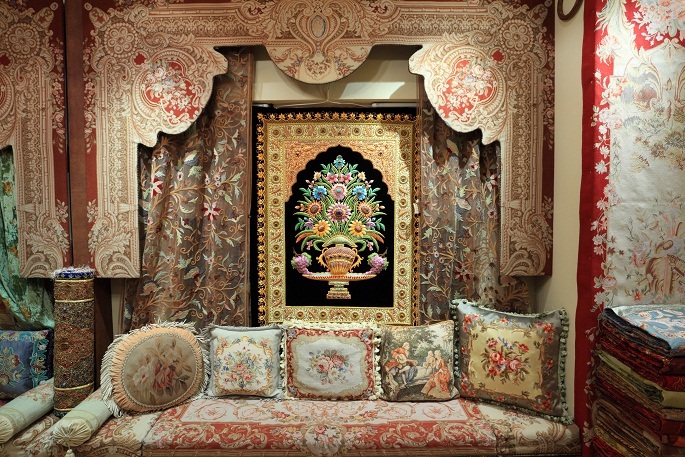 Besides, Srinagar is probably the best place to explore the arts and crafts of the state. The traditionally rich markets of the city are popular for a number of handicrafts and dry fruits. 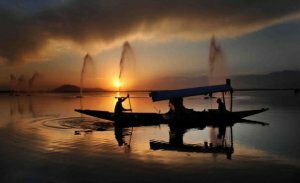 Dal Lake is one of the most picturesque lakes in the country. This second largest lake in Jammu and Kashmir is divided into four parts by causeways and are named Gagribal, Lokut Dal, Bod Dal, and Nagin Lake. Nagin Lake is the most lovely part of this water body. Divided by a causeway from Dal Lake, Nagin Lake is often considered a separate lake. These water bodies also serve as major fishing destinations of the city. The lake is full of Shikaras giving rides to people from the banks to the house boats in the lake. Several ferrymen (Mobile shops) can also be seen floating in the Dal Lake selling products like soft drinks, handicrafts etc. Another attribute of the city is the Mughal Gardens. 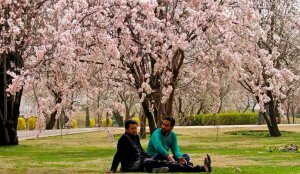 These ancient gardens, situated on the eastern side of the Dal Lake, are still well maintained along with their terraced gardens, maple trees, refreshing fountains and blooming flowers. Shalimar Bagh, Nishant Bagh and Chashmashahi are the most popular gardens in Srinagar. With countless flowers, these gardens are the real treats to tourists' eyes. The ancient temple of Shankaracharya draws lakhs of pilgrims from all over the world to Srinagar district. Built in around 250 BC, the temple is devoted to Lord Shiva, and is named after the legendary philosopher Sri Shankaracharya. People believe that he stayed here during his visit to Kashmir to spread Sanatan Dharma. The temple, built on a hill called Takht-i-Suleiman, holds a great religious as well as architectural importance. A heaven for the wildlife lovers, Dachigam National Park is situated 22 km from Srinagar and covers an area of about 141 sq. km. Dachigam is home to more than 20 species of mammals including Leopards, Himalayan brown bears, Langurs, and Hanguls (an endangered species of red deer) and more than 150 species of beautiful birds like Golden Oriole, Golden Eagle, Black Bulbul, Bearded Vulture etc. The park remains closed between January and April. The visit to Srinagar is incomplete without having a glimpse of the local traditional market. Srinagar, in fact the whole Kashmir, is known for woolen shawls, Pashmina shawls (made from the hair of ibex) and shahtoosh shawls (made from the hair of the Tibetan antelope). The artisans of Kashmir are expert in woodcarving. They use walnut wood to make items like tables, chairs, stools, fruit bowls, partitions, etc. with rich floral and trellis patterns. The local arts and crafts has been a great attraction of Tourism in Srinagar. By Air: Srinagar is well connected to all the major cities of India by air. 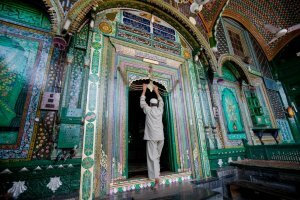 By Rail: The nearest railhead is Jammu Tawi (305 km), which is easily accessible by bus or taxi. By Road: Srinagar is well connected to all the major parts of the country via NH 1. Railway Station: Srinagar Railway Station, Nowgam Bayepass.